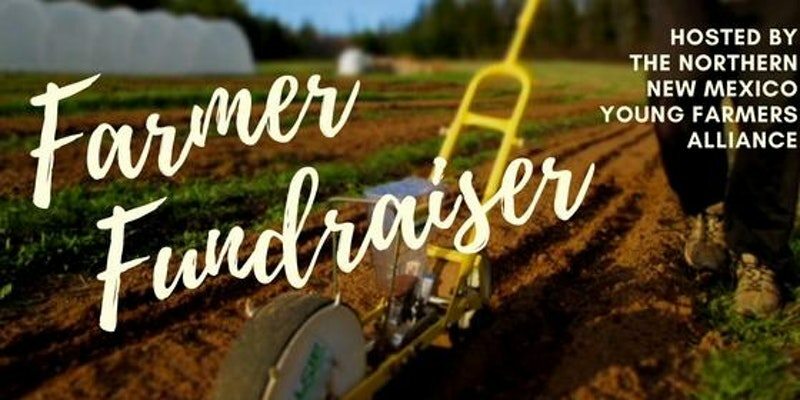 The Northern New Mexico Young Farmers Alliance, (affiliate of the National Young Farmers Coalition and Rocky Mountain Farmers Union) is hosting a “Farmer Fundraiser” next week in support of a greater-Santa Fe Tool Lending Library next week. There will be a local food supper, beer and entertainment provided and it takes place on Thursday, October 12th from 6-9 pm at the Santa Fe Farmers Market Building in Downtown Santa Fe. Tickets are $35 for non-members and $15 for members of National Young Farmers Coalition and/or Rocky Mountain Farmers Union. One of the leaders in the NNMYFA and organisers of the fundraiser is Alex Pinto. Alex is an example of the ultimate greenhorn! Although his mom grew up on a Wisconsin farm that his grandfather started in the late 1920s, farming skipped a generation. However Alex and his partner Rebecca returned to the land and have been farming and selling at the Santa Fe Farmers’ Market since 2007. Their farm, Revolution Farm grows food all year round in harmony with nature by utilizing water catchment for irrigation, making their compost by hand on site, abiding by organic growing principles and practicing no-till biointensive farming. and by hand on site, organic growing principles; low-till, bio-intensive, ecological farming. Alex and Rebecca, started with a small 30-foot by 10-foot garden. Now they work the land at four different sites in Santa Fe County. The tool library and Alex and the Alliance are planning to build will loan anything that the farmers do not have access to or only need once in a while, such as seeders, pipe benders, and specialty tractor implements. Some of the items can cost upwards of $10,000, so the idea is to purchase these items collectively or have them donated, then have a farming co-op to share resources.